Classic renovation in the heart of Windsor Park. Charming ranch boasts entertaining with an open-concept floor plan. The kitchen will not disappoint with large, free-standing island, stainless appliances, sleek gray cabinetry complete with marble countertops and upgraded cabinet hardware. Kitchen opens to breakfast area and cozy sitting area around the fireplace and carries further into the vast family room. Hardwoods throughout, double vanity hall bathroom with shower and tub! Upgraded cabinetry, marble counters and hardware. 3 spacious bedrooms complete with a master suite! MBa complete with double vanities and sleek, modern shower. 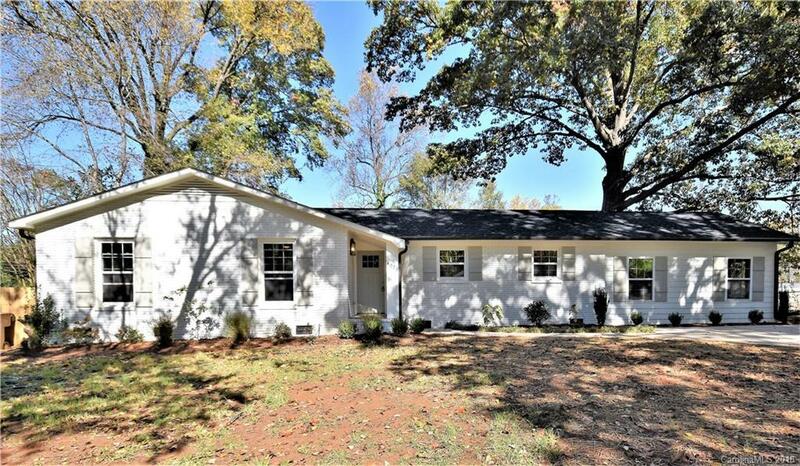 New roof, new windows, new HVAC, new electrical, new plumbing, new deck, storage room attached, fenced yard, new driveway with room for parking, laundry room with space for pantry and mudroom if desired. Fresh paint out and inside. This home is a must-see. Not a detail overlooked. Fireplace is operational but sold as is. No known issues.